One of the UK’s largest Car Supermarket businesses is hoping to create up to 200 new jobs in the city by 2020, with the opening of a new store and preparation facility. The favoured location of the retail site, on the A453 into Nottingham, is one of the 42 Homebase store locations closing down across the UK, putting 1500 jobs at risk. Once live, the new car supermarket store would display more than 700 vehicles, as well as offering vehicle servicing. CarShop representative Nigel Mills believes the 7 acre site is the perfect location, lying on one of the main arterial routes into Nottingham and within an established retail environment. “We’re keen to invest in Nottingham and position our new CarShop in a prime East Midlands location with good access, in a mature retail setting, to complement the other brands already trading there. 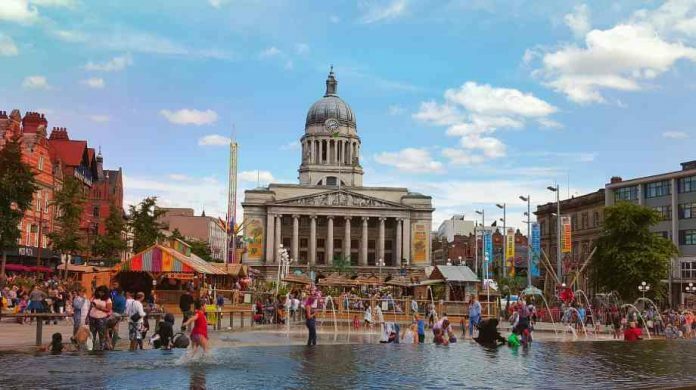 A planning application has been submitted by JLL and is currently being considered by Nottingham City Council for a change of use. Jonathan Dunkley, CEO of CarShop, said: “We’re delighted to have commenced our plans to move into the East Midlands. It’s a very exciting opportunity, and it’s something the whole team has high expectations for. The vibrancy and popularity of the growing city and surrounds presents a great opportunity for us to bring our proposition to the market and offer car-buyers more choice and convenience when it comes to buying, selling and servicing their car. Invest In Nottingham believes CarShop provides an excellent inward investment opportunity and will also ensure a prominent site into the city remains fully occupied. Lorraine Baggs head of investment at Invest in Nottingham said: “It’s great to hear that Carshops is looking to bring its new brand to Nottingham and create new employment opportunities.